The amount of cup events is strictly limited to one cup event per week, so a total of 52 cup events per year. There is a pool of 13 event of each type (barrels, cart, slalom, and steeples) listed above this rules section. When the pool for this type is empty, no more events of this type can be hosted as cup events for the year. Also there can be only ONE cup event per week, a week is defined from monday until sunday. A stable can't have two cup events in a row. Each stable can announce only two future events at once to give other stables the chance to get one cup event also. See this link for list of available events. Rules in a cup event are simple, the rules for every competition are made by the hosting stable. The amount of cup events is reduced and strictly limited unlike in 2011. So a cup event is something special. 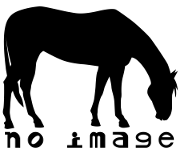 For hosting stables there is a list at the bottom of this page containing a pool of available event types. 2012 has 52 weeks, so there are a pool of 13 event of each type (barrels, cart, slalom, and steeples). This results in a limited amount of events per type, when the pool is empty there can't be any more events of this type. Also there can be only ONE cup event per week. A week is from Monday until Sunday. A stable can't have two cup events in a row. Each stable can announce only two future events at once to give other stables the chance to get one cup event also. The official rule for counting has not been modified since 2010 and before. The hosting stables should count the same way to keep confusion down. So if a place is a tie the next place will be skipped. To give an example: 1-2-2-4-5-6 instead of 1-2-2-3-4-5. This will make it more easy to understand how the cup points are given. Refer to topic CUP POINTS. Beside the participation of all stables and ponies the cup ... L$ tips at any time. We would like to encourage every stable to donate L$100 for a cup event, everyone else can donate as usual. These money will be exclusively used as the final prize at the end of the cup season (Dec 31st). This means all the donated L$ will be split by five as prize for each category. In case of any problems regarding the cup there is a board of judges. It consists of three people and has to decide with a majority vote. Judges may not be in any relationship (e.g. partnered, dom/mes, subs, etc). Their position can be transferred to someone else when they resign. All three judges will always be listed at the website for public view. See this link for a list with the current judges. The rules as listed here can't be ever complete nor completely fair by the nature of SL. They are not fully bulletproof but they are done this way to not be a huge novel. We consider the SL pony-play community itself as a big team, a big family, and with that have a basic trust in everybody to provide as much fun to the community as possible. Timezones, technical limitations of SL, and much more uncertainties may make it hard in some cases but they should never be abused to the bad of other community members.